STOCKHOLM (AP) ― Nine women in Sweden have successfully received transplanted wombs donated from relatives and will soon try to become pregnant, the doctor in charge of the pioneering project has revealed. Life-saving transplants of organs such as hearts, livers and kidneys have been done for decades and doctors are increasingly transplanting hands, faces and other body parts to improve patients’ quality of life. Womb transplants ― the first ones intended to be temporary, just to allow childbearing ― push that frontier even farther and raise some new concerns. There have been two previous attempts to transplant a womb ― in Turkey and Saudi Arabia ― but both failed to produce babies. Scientists in Britain, Hungary and elsewhere are also planning similar operations but the efforts in Sweden are the most advanced. Brannstrom, chair of the obstetrics and gynecology department at the University of Gothenburg, is leading the initiative. Next month, he and colleagues will run the first-ever workshop on how to perform womb transplants and they plan to publish a scientific report on their efforts soon. Some experts have raised concerns about whether it’s ethical to use live donors for an experimental procedure that doesn’t save lives. But John Harris, a bioethics expert at the University of Manchester, didn’t see a problem with that as long as donors are fully informed. He said donating kidneys isn’t necessarily life-saving, yet is widely promoted. “Dialysis is available, but we have come to accept and to even encourage people to take risks to donate a kidney,” he said. Brannstrom said the nine womb recipients are doing well. Many already had their periods six weeks after the transplants, an early sign that the wombs are healthy and functioning. One woman had an infection in her newly received uterus and others had some minor rejection episodes, but none of the recipients or donors needed intensive care after the surgery, Brannstrom said. All left the hospital within days. None of the women who donated or received wombs has been identified. The transplants began in September 2012 and the donors include mothers and other relatives of the recipients. The team had initially planned to do 10 transplants, but one woman couldn’t proceed due to medical reasons, university spokesman Krister Svahn said. 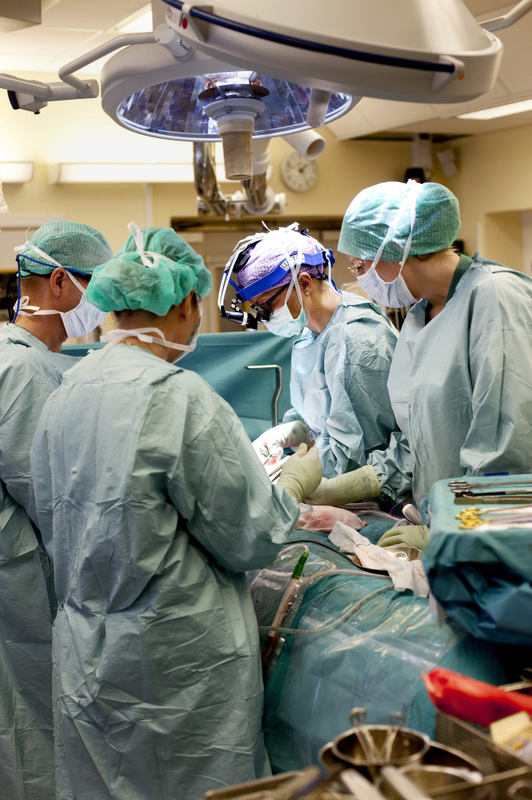 The transplant operations did not connect the women’s uteruses to their fallopian tubes, so they are unable to get pregnant naturally. But all who received a womb have their own ovaries and can make eggs. Before the operation, they had some removed to create embryos through in-vitro fertilization. The embryos were then frozen and doctors plan to transfer them into the new wombs, allowing the women to carry their own biological children.